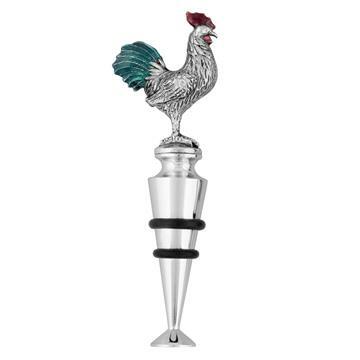 Keep your leftover wine fresh and ready to drink for next time with this bottle stopper. Made of zinc with rubber ring provides an airtight seal to preserve the flavor and aromas of your wine. Comes in different themed surely will capture the hearts of your guests with this elegant, contemporary and practical bottle stopper.